Volunteers Tour in Nepal is very important for individuals from abroad to gain experience from Nepal in the field of socio-economic development, in particular, community development. People with diverse caste, ethnic and religious background and their culture and tradition in Terai (lowland), Hill and Mountain region is interesting area of study for the volunteers. Volunteers Tour package provides volunteers with an opportunity to share about the people and development in their country with the rural and socially and economically marginalized people in Nepal. Even under the critical development infrastructure and poor economic, educational and health condition volunteers can work with the smiling Nepali people and learn real happiness of life. We have social organizations and networks working with women, children, persons with disabilities, indigenous peoples, gender/sexual and religious minorities and victims of conflict. Therefore, we can design various volunteers tour packages according to their preferred subject and geographical area. 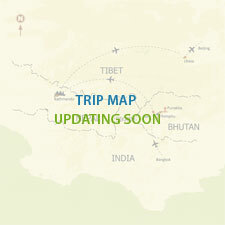 Normally we have forty five days volunteer tour itinerary. But it can be extended and shorten as the needs of the tourist. 01 Day: Pick up from our international airport and brought to hotel. 02 Day: orientation class with some words of greetings. 03 Day: Drive to your volunteer destination. 44 Day: Arrival to Kathmandu. 45 Day: Fly back from international airport. 01 Day: Pick up from international airport and drop to hotel.